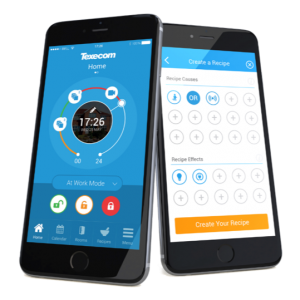 In collaboration with Texecom, TPA Security has launched our new Smart-Security Application (App). 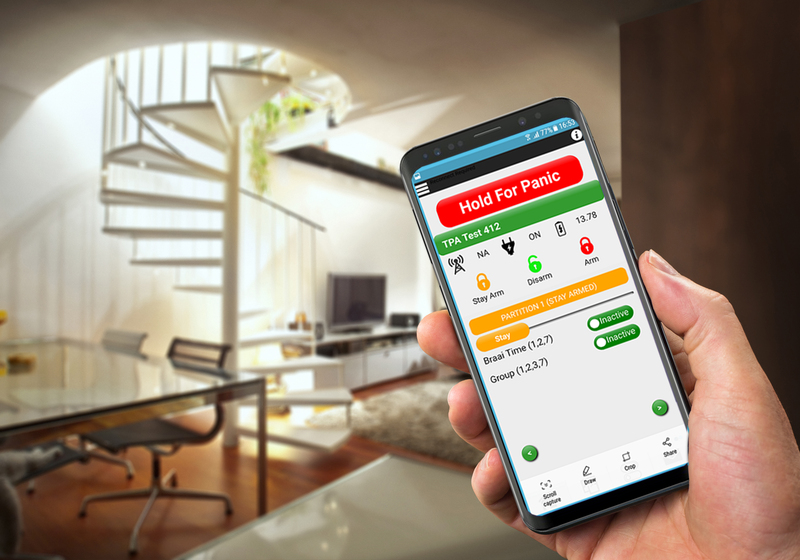 The App integrates with a user’s smart device to help them stay connected to their home or business alarm system from anywhere – using a single screen. 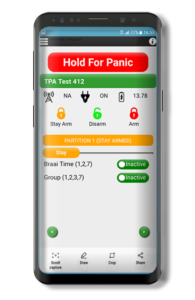 The new TPA App is reliable and easy to use, with everything connected into a single, intuitive interface that provides holistic control of your alarm system from your smart device. Setting up five different group bypasses per partition. The Smart-Security App is cloud-based; therefore a user’s control panel must support Ricochet 412 to 168 and have a link to the internet. This can be in the form of an Texecom IP module or a compatible 3rd party GPRS module, there is some technical setup that needs to be done. The App is available for Android operated and iOS devices. Click on the app store options for your operating software on the left to download it today! The first 12 months are free and thereafter users will have their home or business’s security access at their fingertips for an annual subscription of only $3 per device. Texecom’s extensive end user research has clearly indicated a gap between what end users want and what security systems currently deliver. Today, security and ‘peace of mind’ are the two main qualities that end users are seeking, but once a system is put in place a large majority of people simply do not use their security system. Texecom Connect introduces three new connectivity options to transform the ownership experience, enable past, present and future Texecom Premier Elite systems to add value every day, and to interface with leading 3rd party ecosystems.